This book explores how the cultural distinctions and conflicts between Anglo-Saxons and Normans originating with the Norman Conquest of 1066 prevailed well into the fourteenth century and are manifest in a significant number of Middle English romances including King Horn, Havelok the Dane, Sir Orfeo, Sir Gawain and the Green Knight, and others. 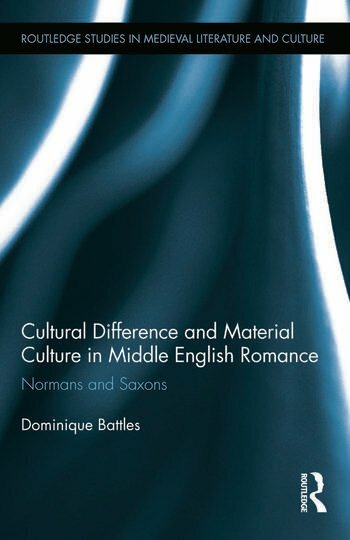 Specifically, the study looks at how the material culture of these poems (architecture, battle tactic, landscapes) systematically and persistently distinguishes between Norman and Anglo-Saxon cultural identity. Additionally, it examines the influence of the English Outlaw Tradition, itself grounded in Anglo-Saxon resistance to the Norman Conquest, as expressed in specific recurring scenes (disguise and infiltration, forest exile) found in many Middle English romances. In the broadest sense, a significant number of Middle English romances, including some of the most well-read and often-taught, set up a dichotomy of two ruling houses headed by a powerful lord, who compete for power and influence. This book examines the cultural heritage behind each of these pairings to show how poets repeatedly contrast essentially Norman and Anglo-Saxon values and ruling styles. Dominique Battles is Professor of English at Hanover College, USA.